A month ago, the government of Pakistan imposed a new law for international passengers that they will have to pay duty tax if they want to bring more than on the mobile phone with them. The procedure was to register the mobile at the airport or the customs office. Now the government has come up with a new plan for international passengers who want to bring more than one mobile with them. They don’t need to wait in the long queues to register their mobile phones. 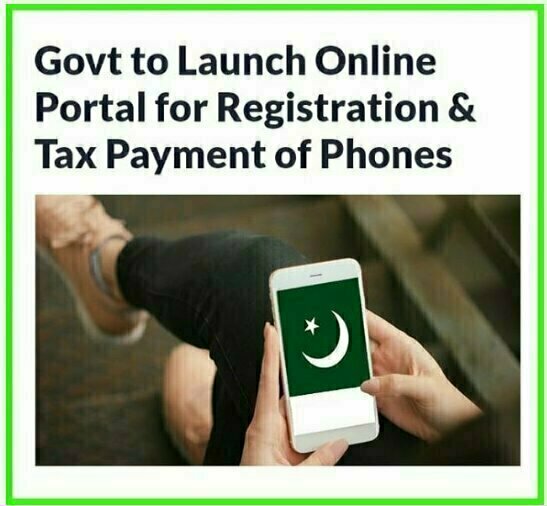 According to the Ministry of Information Technology, Pakistan Telecommunication Authority (PTA) and the members of custom, the government is set to launch online Portal for registration and tax payment of phones without wasting time at the airport and the owner of the phone will soon be able to register their phones in just a few clicks. The international passengers will be able to get their phones registered within fifteen days of their arrival. The Ministry of IT and PTA has a website for registration DIRBS.gov.pk, so the international travelers will need to sign in to this website for registration. After receiving the request, the system will make sure that the IMEI is unique and real, nit reported stolen and Cloned in its database. After the confirmation of data, the network put the IMEI number in the whitelist, and it will register it against your name. How to pay Duty Tax? The international passengers will able to pay the Customs duty tax on mobile phones through a web portal which will accept payments from all banks and ATMs. For fees, you have to enter your CNIC, passport number, IMEI of the mobile phone and mobile specification. After verification, the system will generate a Payment Slip along with taxes and Duties and the individual will then pay the taxes via bank, or other payment methods. The online portal will start working on January 25.